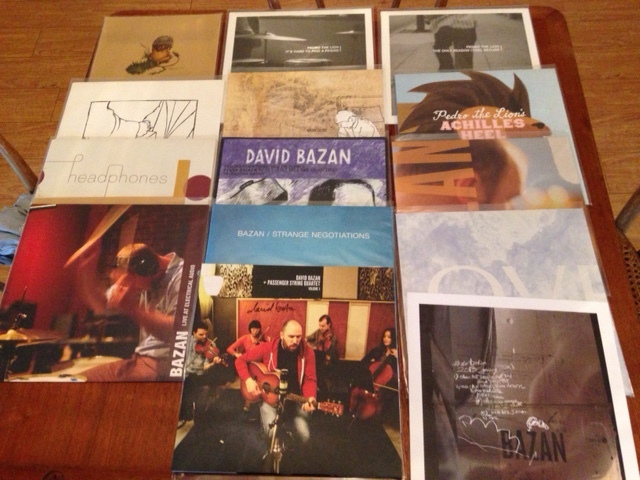 David Bazan is an interesting musician. People either love him or hate him. He used to sing songs about god and now he sings songs about how he used to sing songs about god. There is so much more to his music than that. He really strikes a chord with people who grew up in some sort of religious setting and have become dissatisfied with the faith they were brought up in. I connect to his songs for this reason. The early Pedro the Lion records have all the sincerity I felt in 1999 when my friend Sarah showed me the song “Secret of the Easy Yoke”. Speaking of that song. Go watch this video of him playing it at Bottom of the Hill in San Francisco. It is pretty haunting. He also says at the end he will never play the song again. He really doesn’t play any of the “god” songs anymore. Anyways, I feel like I have traveled with him throughout his musical career. 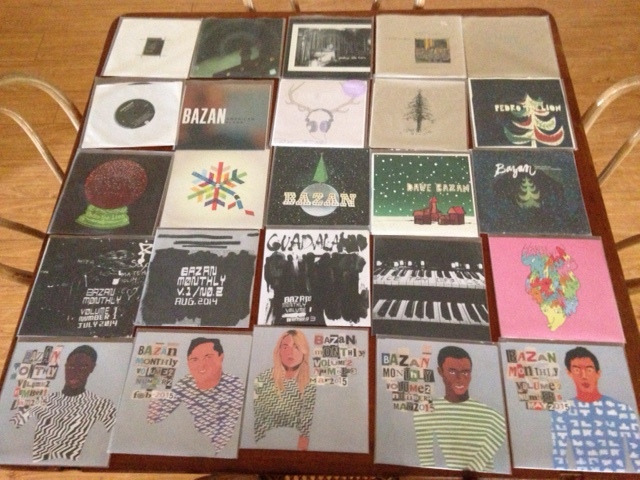 This is the second installment of Bazan’s vinyl series. Like Volume 1 each record comes with 2 songs making it 10 songs. The last two records in the series came to my house finally came to my house. These 5 records feel more like a Headphones record to me. It is not as bare bones as the Headphones record though. It is layered in a way that most Bazan records are not. I also think the artwork is pretty rad. While not my favorite Bazan records, I do enjoy them. David’s voice resonates with me more than most voices. I tend to listen to these songs digitally all together rather than flipping and switching records every 3-5 minutes. My favorite tracks are Someone Else’s Bet, Over My Eyes, and Here We Are. You can buy the 7″ set here.